Just after Bill O’Reilly excoriated NBC’s Brian Williams for fabricating his experiences during the US invasion of Iraq in 2003, O'Reilly is now on the defensive himself after a publication questioned his claims of reporting during the Falklands war. The article, entitled “Bill O’Reilly Has His Own Brian Williams Problem,” went on to produce a list of seemingly self-incriminating quotes from the notoriously outspoken Fox host, who has boasted on more than one occasion that he “experienced combat” during the 1982 conflict between England and Argentina. In his 2001 book, The No Spin Zone: Confrontations with the Powerful and Famous in America, which details his stint as a CBS News reporter, O'Reilly writes: "You know that I am not easily shocked. I've reported on the ground in active war zones from El Salvador to the Falklands." However, as MJ points out, nowhere in the book does O'Reilly mention experiencing any combat during the Falklands war. In fact, he reportedly arrived in Buenos Aires shortly before the Argentine forces surrendered to the British, ending the 10-week war over control of the islands about 1,200 miles south of Buenos Aires. And judging by one highly respected CBS journalist, nobody from the news channel made landfall on the Falklands. "Nobody from CBS got to the Falklands," according to veteran CBS reporter Bob Schieffer. "For us, you were a thousand miles from where the fighting was. So we had some great meals." The magazine quoted Robert Fox, one of the few British reporters embedded with the British troops: "We were, in all, a party of about 32-34 accredited journalists, photographers, television crew members. We were all white, male, and British. There was no embedded reporter from Europe, the Commonwealth or the US (though they tried hard enough), let alone from Latin America." Although O’Reilly reportedly didn’t respond to calls for comment from Mother Jones, longtime CBS producer Susan Zirinsky did. "Nobody got to the war zone during the Falklands war," Zirinsky, who helped manage CBS coverage of the war from Buenos Aires, told MJ. She said the military junta prevented US reporters from reaching the islands: "You weren't allowed on by the Argentinians. No CBS person got there." As for O’Reilly, Zirinsky says she doesn’t remember what he was doing in Argentina at the time. 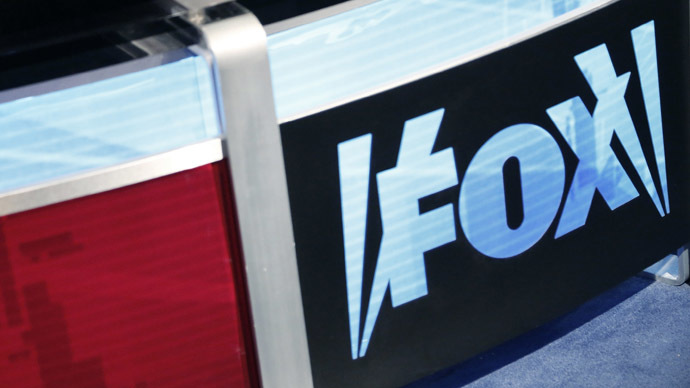 Bill O’Reilly has disputed MJ’s claims, telling the Times that the story was “a bunch of garbage.” He denied ever saying he was on the Falkland Islands during the war. MJ pulls no punches in its effort to expose O’Reilly’s claims of ‘combat reporting’ as fraudulent. “The protest in Buenos Aires was not combat. Nor was it part of the Falklands war. It happened more than a thousand miles from the war—after the fighting was over. Yet O'Reilly has referred to his work in Argentina—and his rescue of his cameraman—as occurring in a "war zone." The military machismo behind O’Reilly’s claims could be overlooked if not for one thing: He often cites his combat credentials in order to refute the arguments of people who do not agree with his views on foreign policy, which have a tendency to support military adventures. For instance, on his television show in 1999, O'Reilly responded to comments from a retired Air Force colonel who criticized O'Reilly for supporting NATO military action in Kosovo, by dragging up his Falklands war exploits: "Hey, Colonel, did you ever have a hostile point an M-16 at your head from 10 yards away? That happened to me while I was covering the Falklands war." 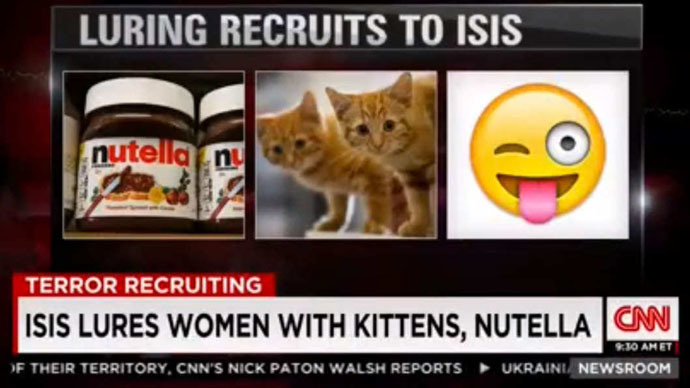 CNN insists ISIS lures women... with Nutella & kittens. For real.